It is now confirmed that Microsoft will release Minecraft for Nintendo Switch console. Currently, the game is in development. A listing on Nintendo’s official site confirms the news. Also, Telltale’s Minecraft: Story Mode has also been confirmed for Nintendo Switch. Previously, Microsoft also released Minecraft for Wii U console in December 2015. Recently, Nintendo announced its Switch console for $299. The console will be available on March 3. The Nintendo Switch features a 6.2-inch HD (1280x720px) display with multitouch capabilities. There is also a detachable controller called Joy-Cons that can either snap onto the tablet or be used on their own. You can get more details about the console from here. 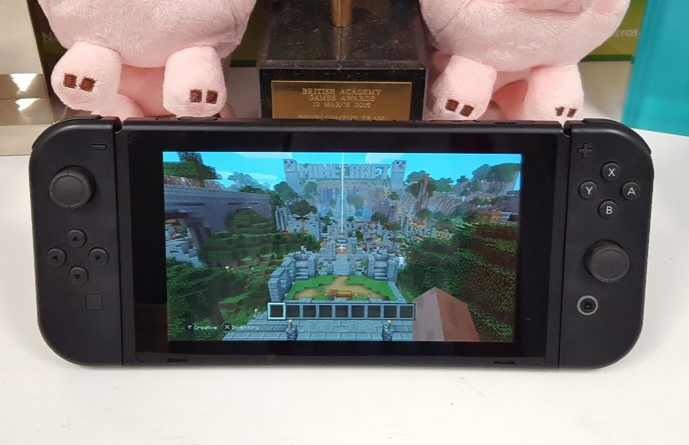 Today, the game’s co-developer 4J Studios posted the image of Minecraft: Switch edition. Minecraft was originally released on PC in late 2011, later it was released to PS3, PS Vita, PS4, and Xbox One, as well as mobile.